different from the essence of freestyle. 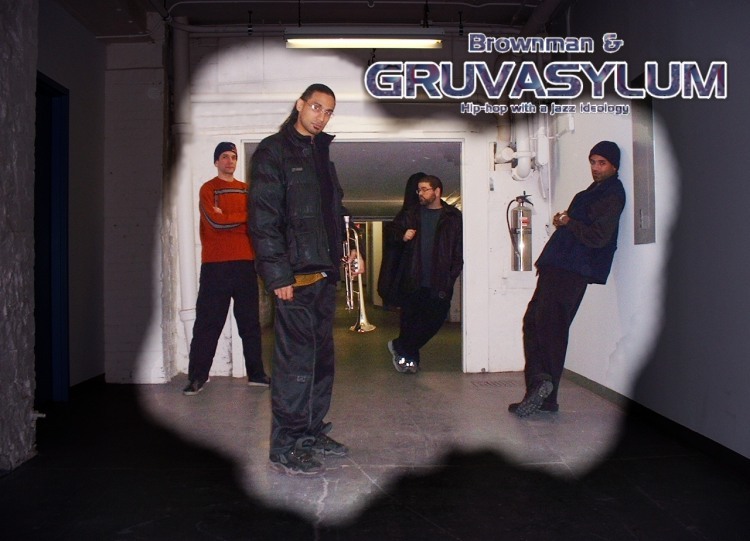 GRUVASYLUM is hip-hop with a jazz ideology. 100% improvised urban grooves, yet rooted in jazz lineage.
. . . and watch the walls b u r n d o w n . . .
Jazz & hip-hop have long been cross-pollinated by geniuses from both genres. From the appearance of rappers on the legendary Miles Davis' "DooBop" recording, to jazz superstars like Herbie Hancock and Donald Byrd guesting in hip-hop legend GURU's JAZZMATAZZ. 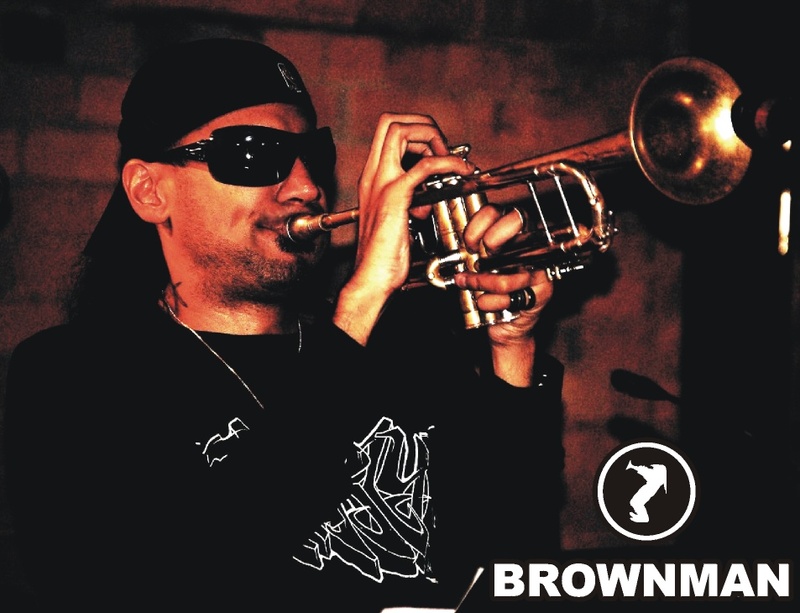 Jazzmatazz is now historically recognized as the 1st successful amalgamation of jazz & hip-hop -- and from 2006 to 2010 Canada's own nationally acclaimed trumpet playing jazz icon BROWNMAN would replace Donald Byrd in Guru's Jazzmatazz, doing 4 world tours, appearing on Jazzmatazz Vol. 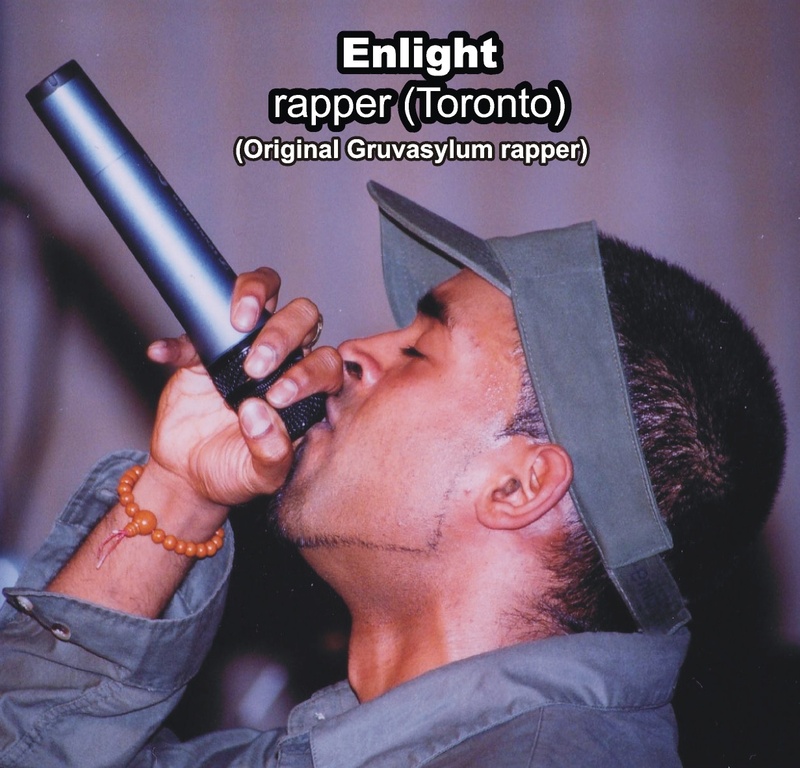 4, and catapulting him to international acclaim in the hip-hop community. 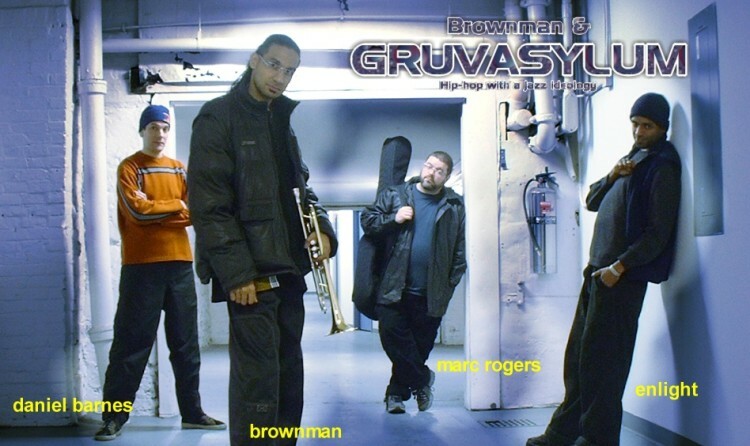 Guru tragically died in 2010 of cancer, but Brownman continues his legacy in the exploration of jazz-hip-hop in his own group GRUVASYLUM. This all-star quintet, with Guru alumni and multiple National Jazz Award Winner Brownman at the helm, reminds us that the essence of the jazz solo is not so different from the essence of freestyle -- in that improvisation and spontaneous creation is at the heart of both idioms. Gruvasylum is about modern, thoughtful, conscious hip-hop that tells tales of the world we live in - yet rooted in the jazz lineage. It is not what you hear on MTV. No one in Gruvasylum will ever discuss the merits of gunplay, SUVs with spinning rims, or big-booty girls. 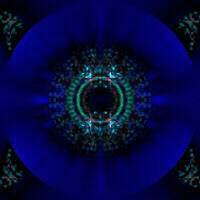 You will however hear lyrics that emphasize living life with irreverence and taking risks in that living. It is what you hear in every Miles Davis solo... or Guru's lyrics. 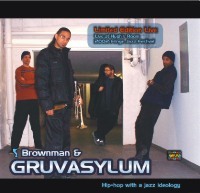 Brownman & GRUVASYLUM -- hip-hop with a jazz ideology. You do NOT want to miss this. "I’ve seen rap concerts. I’ve seen punk concerts. I’ve seen folk concerts. I’ve seen piano concerts. I've seen jazz concerts. I’ve seen a lot of really good concerts. 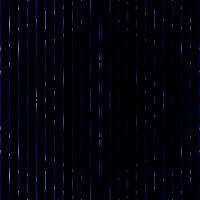 But what I saw that night was beyond the music. The unity and passion that poured from the claustrophobic corner of Nietzsche’s, where four rappers and a jazz trio played for two strong hours were incredible. I’d never seen anything like it before. 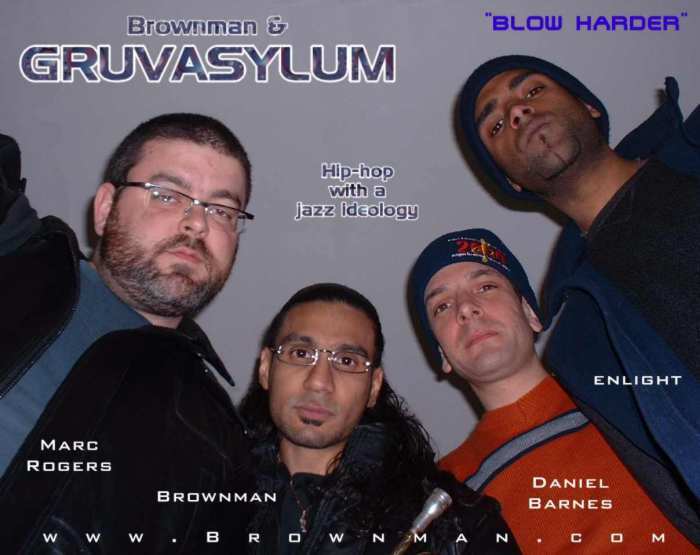 World-renowned trumpet player, Brownman, brought Buffalo the GRUVASYLUM SYNDICATE (a larger cross-border version of his 4-man Gruvasylum group). 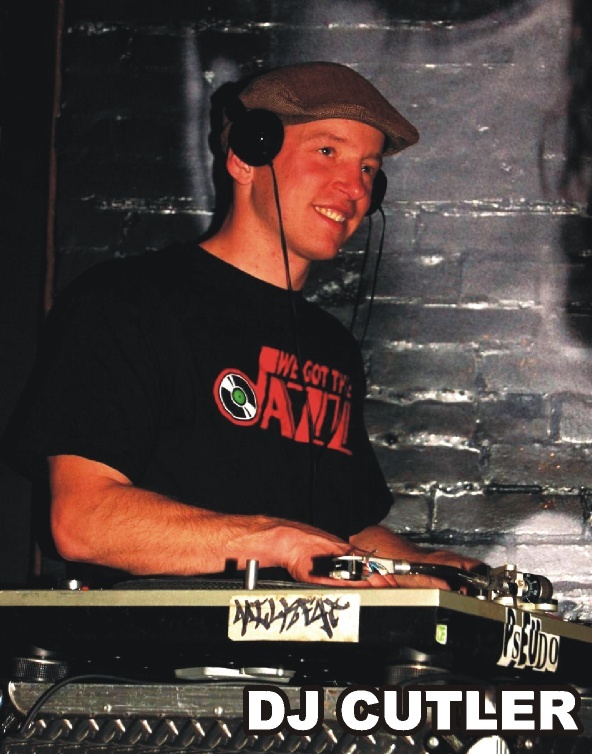 This super-group features his jazz-hip-hop quartet teamed up with Mad Dukes, Dr. Ooo, A.L. 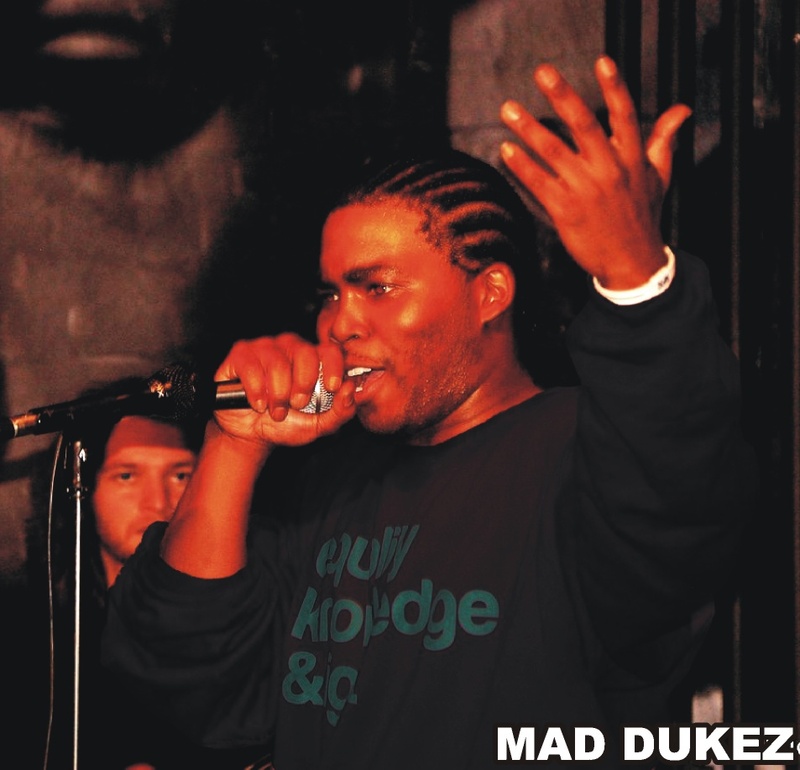 Third and Shuteyez, four of New York’s most acclaimed underground emcees, all armed with top-shelf free-styling skills. These lyricists, all hailing from different backgrounds and crews, challenged the stereotype many people associate with hip-hop culture with their conscious banter. Ages, ethnicities, shapes, sizes and styles were all over the board this Gruvasylum train. No one spent time picking out his best outfit, or throwing on flashy jewelry, or running with some kind of gimmick. Everyone was on stage to do what he loves: perform music and deliver thoughtful conscious messages in the hip-hop vernacular. These guys weren’t up there flaunting that they were all “rap stars.” They really were rap stars. Each performer fed of the other’s energy, trading rhymes and rhythms, exchanging lyrics, laughing, and cheering for one another. All engineered and orchestrated by Brownman's undeniable genius. From the artists to the audience, the excitement nearly brought the house down. Seven very different people, most of whom have never performed together, sharing a tiny stage and leaving everything they had under the spotlights. The entire time, I thought, “This is Infringement. Right here. And this is awesome." kept informed of GRUVASYLUM (and other Brown) activities.